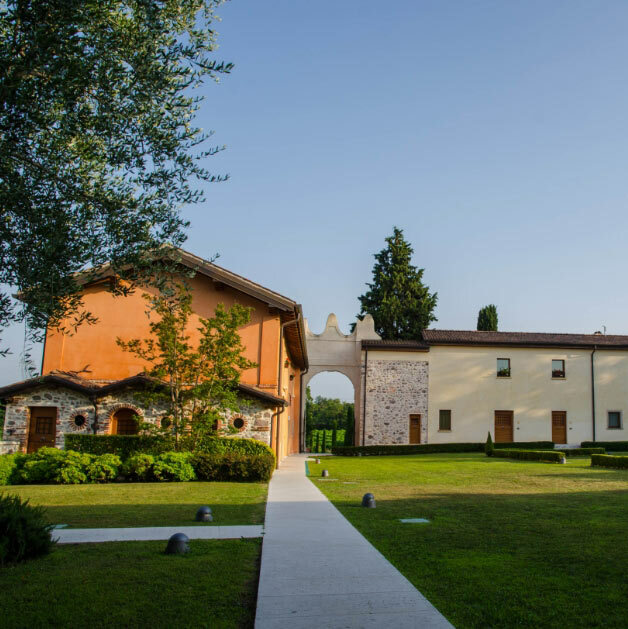 The guests of our Relais by Lake Garda can also make use of a multi-sensory wellness center, the ideal place to relax their body and free their mind from daily frenzy. It houses a hot tub with salt water, two emotional showers with rain effect, a sauna and a bio-sauna, in a true oasis of peace. 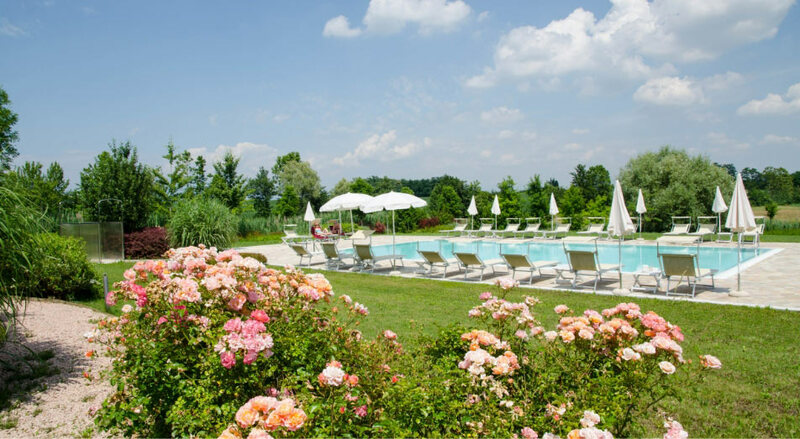 The hotel’s swimming pool is surrounded by a bubbling stream and greenery typical of the beautiful resort of Ponti sul Mincio. From the court, guests can admire the beauty of water reflections fading away into the nature, and offering a unique environment where to enjoy moments of relaxation. Equipped with loungers and umbrellas, the modern and large swimming pool is ideal for everyone, skilled and unskilled swimmers. We provide our guests with a free bicycle rental service. For those who decide to take their own bicycles on vacation, we have a safe indoor place to store them. 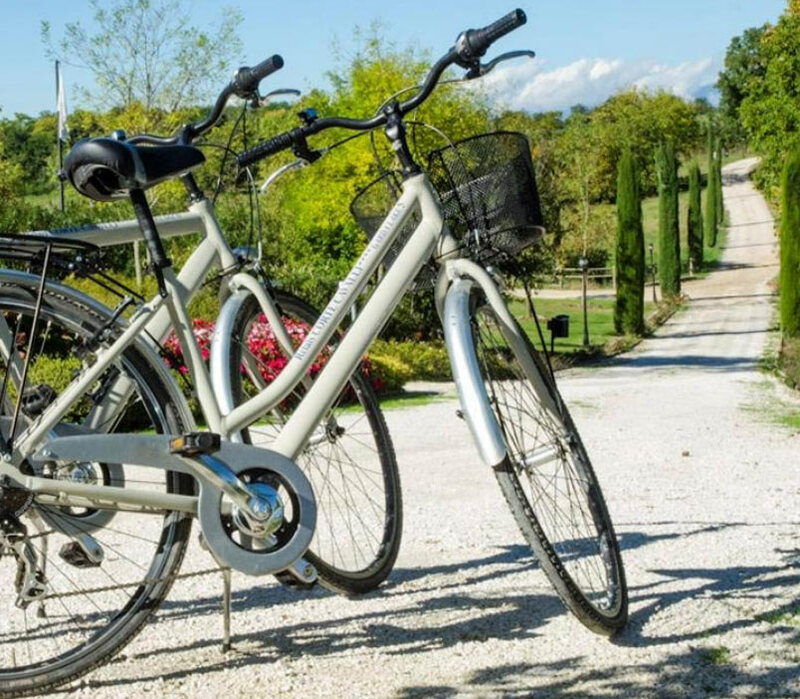 Just 4 km away from the Relais is Peschiera del Garda or, a short way away, there are a few popular bike paths, including the Peschiera-Mantova one, which winds along the banks of River Mincio. Too rarely do we devote ourselves to reading. We never seem to find time to pick up a book that we have maybe been thinking of reading for a long time! The Relais Corte Cavalli offers a quiet atmosphere, suitable for reading or simply browsing a few pages in an oasis of peace. Inside the hotel, guests will find a well-stocked library with books in several languages. The inner courtyard of the Relais is the perfect meeting place to enjoy the outdoor spaces of this charming hotel. 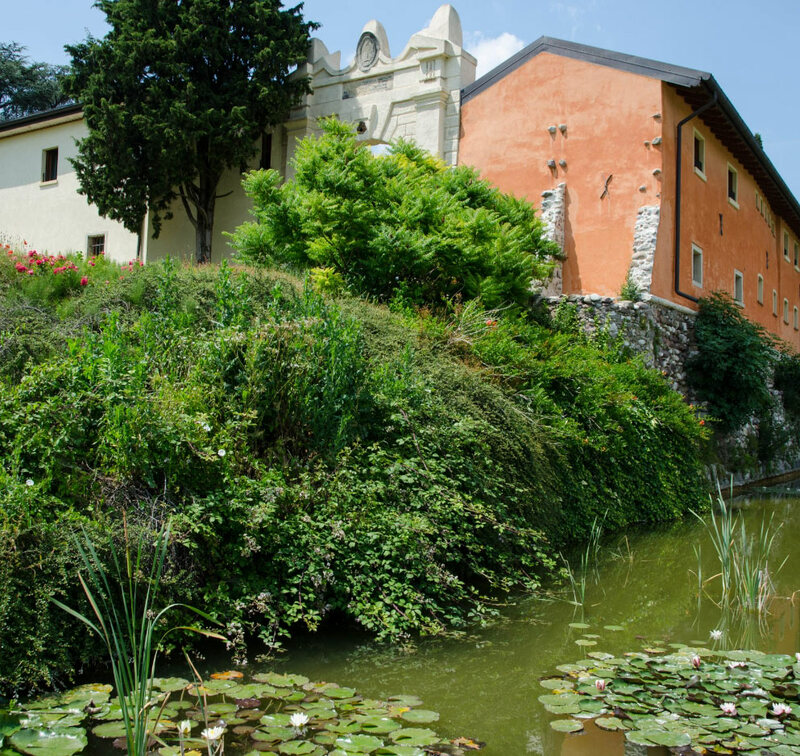 The garden, with its plant varieties, and the original style of the courtyard enrich the structure with an exclusive setting.